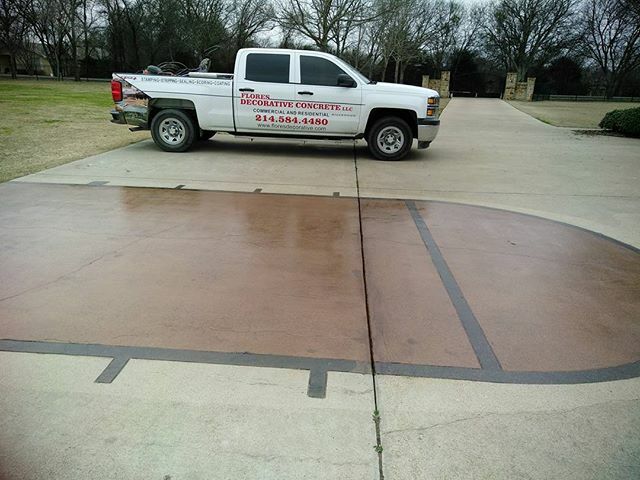 Concrete scoring is the process of using scoring machines and grinders to etch designs and patterns into concrete. Once complete, the patterns and designs can be stained to blend or contrast with their surrounding areas. Scoring can bring unique design elements to your home or business. Scored flooring can provide the look of a more fragile floor surface with the durability of a concrete floor. Scoring can increase curb appeal and add to the resale value of an existing home. It can provide an interesting and aesthetically pleasing element to your retail or warehouse space. Our specialized tools allow us create a custom design that our customers desire. It doesn’t matter if you already have existing decorative concrete or bare plain concrete, we can score it, add color to it and turn it into a work of art. Have a design in your head? Work with us and we can make it a reality! 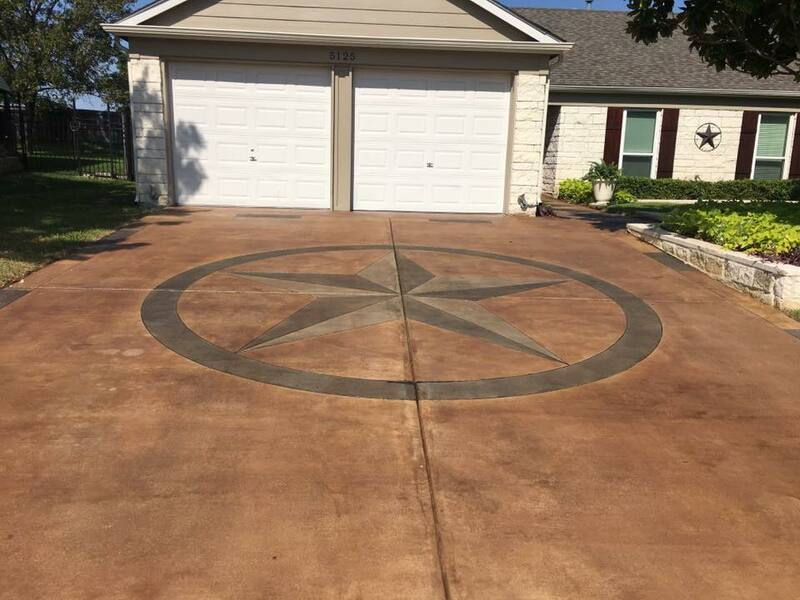 What about a big Texas star on your drive way? We can score that, color it and seal it! Have existing acid stained concrete floors or just bare concrete? Well we can score them and make it look like a decorative stone pattern. Ready to make your space uniquely your own? Give us a call.